For the background, I used Mustard Seed Distress ink over the Polygon Stencil, then sprinkled with water and dried it with a paper towel. 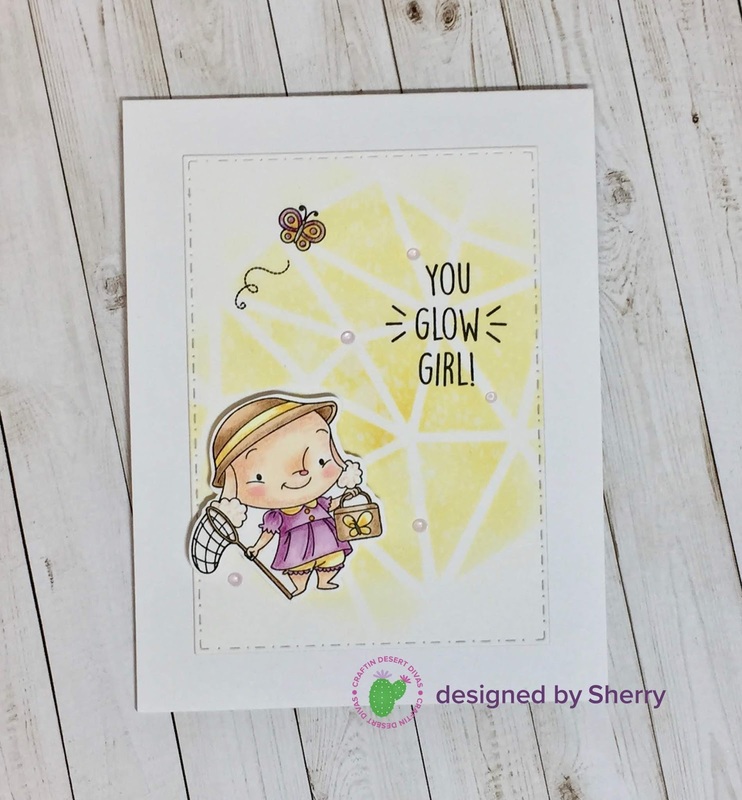 I used Lawn Fawn Jet Black ink to stamp the sentiment and butterfly from the Brighter Days stamp set. I used the Fancy Frame dies to cut out the background then popped up the lamb on foam tape. As a final embellishment, I add a few Nuvo Jewell Drops. Below is a video and below that is a list of the other products used.